Today marks the 12th anniversary of 9/11, a day of reflective remembrance. This summer, while on a family trip to the NYC area, I had the privilege of visiting the Memorial Plaza. After 9/11, workers found the damaged tree, reduced to an eight-foot tall stump, in the wreckage at Ground Zero. The tree was nursed back to health in a NYC park and grew to be 30 feet tall... In March 2010, the tree was uprooted by severe storms, but true to its name, it survived. 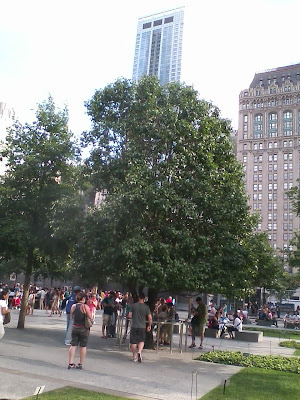 In December 2010, the tree was returned to the World Trade Center site. 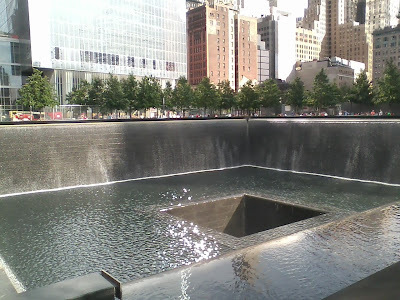 Standing just west of the south pool, it embodies the story of survival and resilience that is so important to the history of 9/11. I also learned this interesting tidbit while visiting the Memorial Plaza. 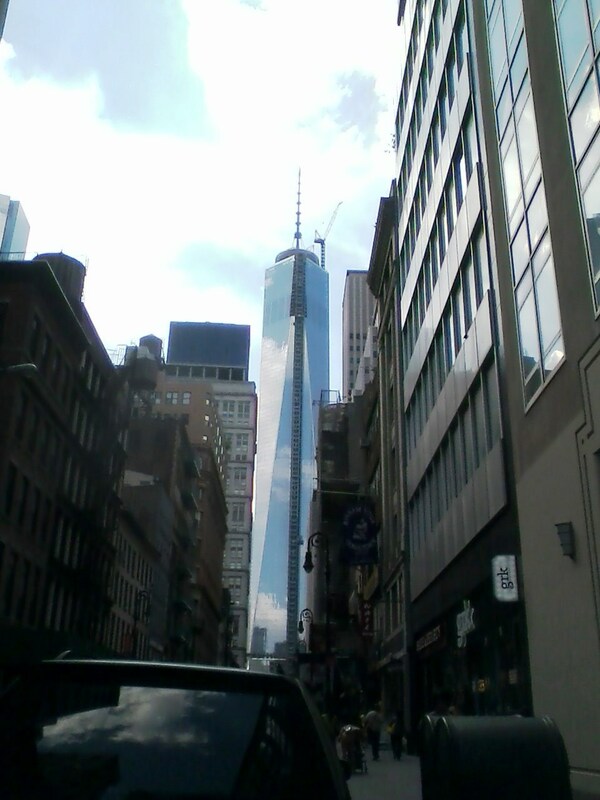 With the recent completion of the spire on top of One Trade Center, formerly known as The Freedom Tower, it makes this the tallest building in not only NYC but in the Western Hemisphere. The building sits on the north end of the Memorial Plaza. 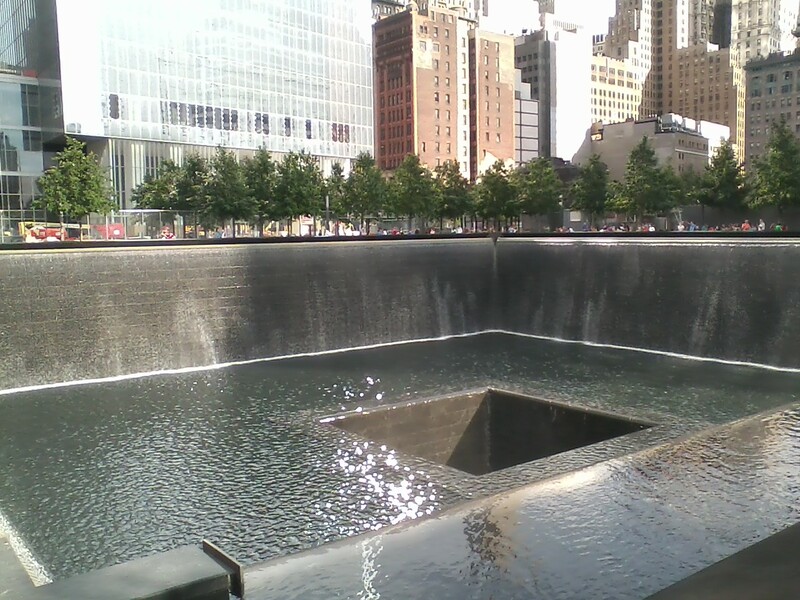 Hopefully, someday everyone will get an opportunity to visit the 9/11 Memorial Plaza.